Winter is quickly approaching, and for New Jersey residents, that means temperatures are starting to drop. Sub-freezing temperatures are quite common, especially at night. 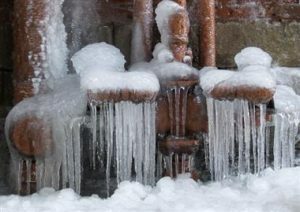 Unfortunately, this creates the opportunity for a common but very damaging plumbing problem: frozen pipes. 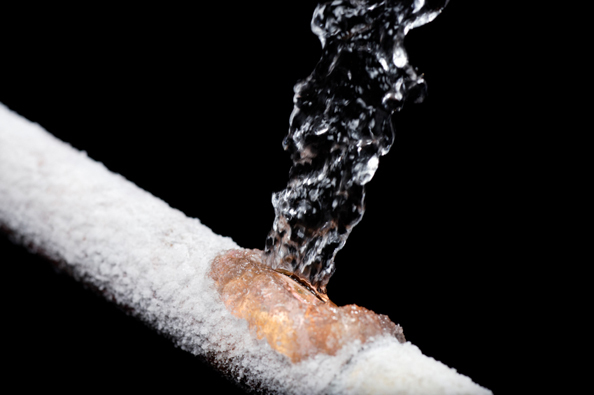 Many local homeowners have experienced their water pipes freezing on at least one occasion, hopefully without lasting damage to the plumbing. When the water inside of a pipe freezes solid, it expands, and can burst or crack the pipes. Because frozen pipes can cause such extensive (and expensive) damage, prevention is important. 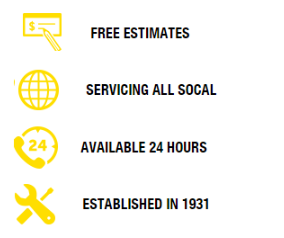 However, if you do have a problem with your pipes freezing during the winter, you can call us 24/7 at 2Plumbers for same-day plumbing pipe repair service. Disconnect hoses and cover outside faucets and spigots. This will insulate and protect the inside of the plumbing pipes from the frigid temperatures outside, keeping the water in a liquid state. Keep the heat on, even when you’re not at home. Even if you’re at work or out of town, you should still keep the heat running in the winter to prevent frozen pipes. Ideally, you should set it to at least 68 degrees. Open cabinet doors beneath sinks. This allows warm indoor air to circulate around the pipes. Insulate exposed pipes. Ask your local plumbing repair professional about installing heating tape or pipe insulation around exposed pipes in unheated areas. Insulate outside walls and unheated areas. Let a small trickle of water run through your faucets overnight. Moving water is much less likely to freeze. Shut off the water main if you’re away for an extended period of time. If you go on vacation during the winter, it’s best to shut off your water completely, to prevent the pipes from freezing while you’re away. 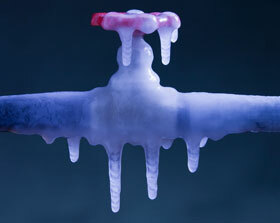 If your pipes do freeze, it’s important to get the right kind of plumbing pipe repair as soon as possible. 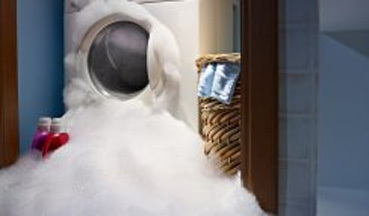 The best thing to do is generally to call a professional, to ensure that no further damage occurs. If a pipe has burst, it’s important to shut off your water main immediately, to prevent water damage and flooding. The plumbing repair contractor will be able to find the location of the freezing and blockage, usually by following the pipe back from the faucet or fixture. Frozen pipes generally have visible ice on the outside, and may be bulging or warped from ice expansion. To thaw frozen sections of pipe, contractors will sometimes use infrared lamps, which can heat the pipe without losing heat into the surrounding air. On exposed pipes, heat tape can also be used during the thawing process. If a pipe has cracked or burst, that section will probably need to be replaced. If you have a frozen pipe in your home, call us right away at 2Plumbers for 24-hour emergency plumbing pipe repair service, at 201-765-0466. NJ Plumbers for all Plumbing, Heating & Air Conditioning. Copyright © 2019 MASTERS PLUMBERS NJ.